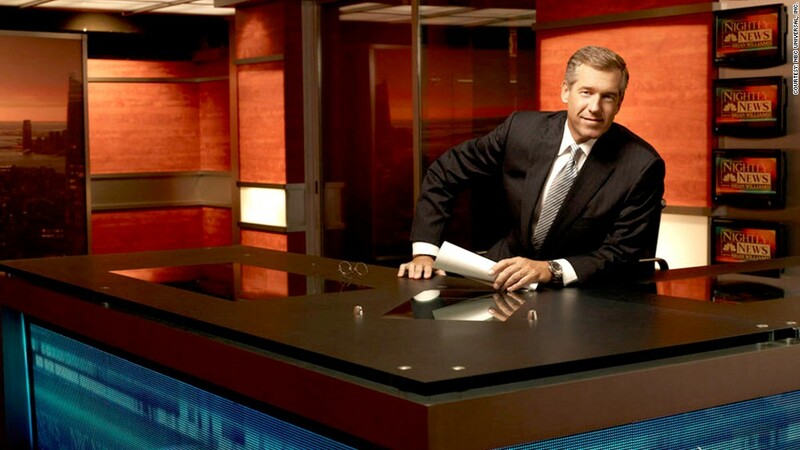 Brian Williams is backing out of his scheduled appearance on CBS's "Late Show with David Letterman," citing the uncertainty about when he'll be back at his anchor desk. The "NBC Nightly News" anchor is at the center of a growing scandal over his inaccurate recounting of an Iraq War mission in 2003. He said on Saturday that he would take a hiatus from the evening news "for the next several days." But until Sunday afternoon he was still scheduled to show up for his date with Letterman on Thursday. The sudden change reflects the chaotic situation behind the scenes at NBC News and among Williams' representatives. On Sunday morning, a spokeswoman for the "Late Show" said there had been no change to the plans for Williams to appear on Letterman's show. Around the same time, a source close to Williams said it was "undecided" if Williams would still appear, saying the network hadn't considered the question yet. Later in the day, the same source said the appearance was off. Williams has no other television appearances on the books. In 2013, Letterman's show was one of the venues where Williams gave an account of the Iraq mission that has been contradicted by the soldiers who were present. "Two of our four helicopters were hit by ground fire including the one I was in -- RPG and AK-47," Williams told Letterman. Williams is no stranger to the talk show circuit. According to IMDB, he has appeared on Letterman's program 21 times, on NBC's "Late Night with Jimmy Fallon" 18 times (including 6 appearances in Fallon's slow jam the news segment) and on "The Tonight Show with Jay Leno" 13 times. Williams has made 16 appearances on "The Daily Show" with Jon Stewart. He even once hosted NBC's "Saturday Night Live."